Most patients with cholesterol gallstone disease have supersaturated gallbladder bile, i.e. the amount of cholesterol is in excess of what can theoretically be kept in solution. Saturated bile is also more common among races and populations with a high frequency of gallstones1, 2. The development of supersaturated bile appears to be a necessary step for the subsequent precipitation of cholesterol, and may thus be considered a major risk factor for cholesterol gallstones. Many individuals without gallstone disease, however, also have supersaturated bile3, 4 (Figure 1). It has therefore become evident that other factors are required for crystallisation of cholesterol and aggregation of the crystals to occur. 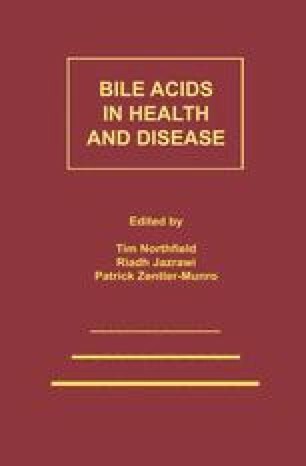 This chapter summarises and discusses recent studies of the mechanisms leading to the supersaturation of bile in situations where cholesterol gallstones are common.